If you are buying a new electrical item, we will recycle your old one for free! We are pleased to offer our customers the chance to recycle their old electrical items. If you buy a new electrical item from us we can recycle the old one for you! It might be easier to recycle the item yourself at your local recycling centre. 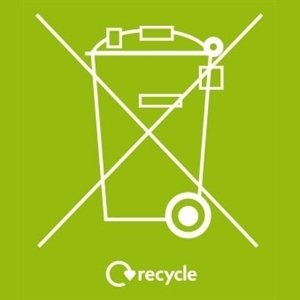 You can locate your local recycling centre at www.recyclenow.com. buying new electrical equipment the opportunity to recycle their old items free of charge. buying new electrical equipment free take back of their old electricals on a like-for-like basis. Alternatively, you can find your local waste portable battery recycling facility at www.recyclenow.com. Most supermarkets and shops that sell batteries will have collection bins for used batteries, and some town halls, libraries or schools may also set up collection points.